The TM3 regulation group is available in either Thermostatic or Electronic versions for low temperature heating systems. 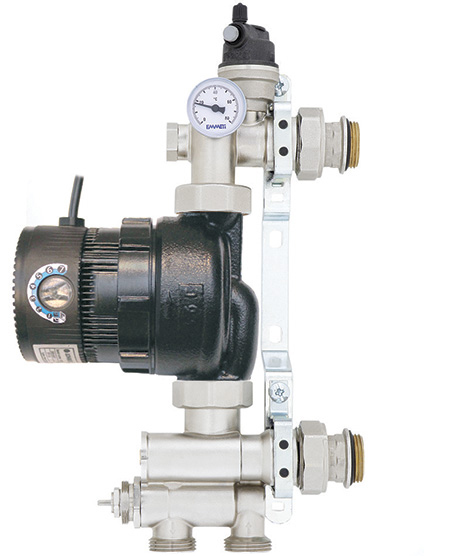 Each Control group includes temperature management, using a thermostatic mixing valve, built in temperature gauge and swivel joints for connections to the manifold. Complete with brackets for wall mounted installation or into a Metalbox. Incorporated is a high efficiency, Class A Lowara EcoCirc pump with anti- block technology, meeting 2015 ErP standards. 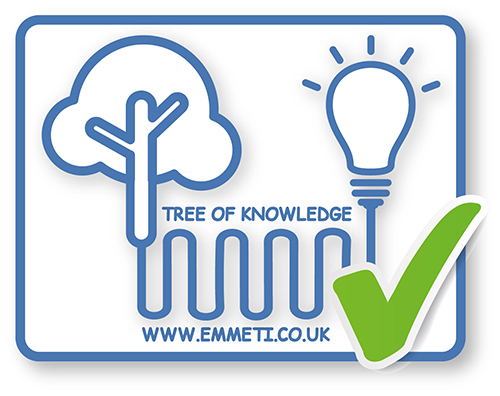 The TM3 is designed for the Under Floor Heating market. The control group incorporates a Lowara EcoCirc pump and a mixing valve with remote probe actuation to give a temperature range of between 20 – 70oC, making it suitable for screed drying purposes. It includes a throttle to increase Kv for larger systems. Compatible with our T2 Topway manifold 210mm centres. Includes 1” M manifold connections with O-ring seals and 1”M connections for primary flow and return. 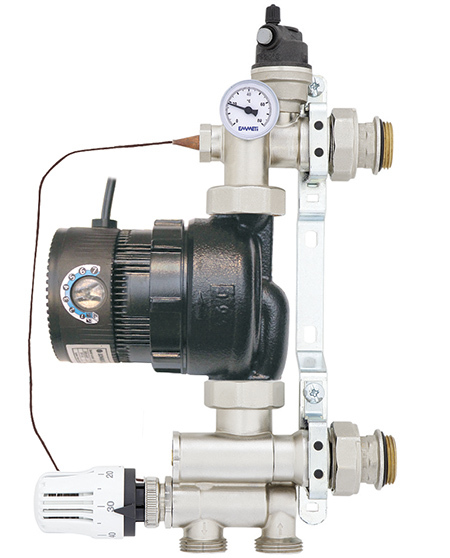 Includes as standard a temperature gauge measuring the mixed flow temperature and a bracket to support the weight of the pump. The Class A pump is ErP 2015 compliant, fixed and variable speed with antiblock technology. Mixing Valve Kvs 3 – 4.8, 10kw – 18kw. The TM3 is designed for the UnderFloor heating market. The control group incorporates a Lowara EcoCirc pump and a mixing valve suitable for use with an electronic actuator. Compatible with our T2 Topway manifold 210mm centres. Includes 1” M manifold connections with O-ring seals and 1”M connections for primary flow and return. The TM3 includes as standard a temperature gauge measuring the mixed flow temperature and brackets to support the weight of the pump. The thermostatic mixing valve requires an electronic actuator: 230V 3 point (28157210) or 24V 0-10V (28157220).